My school is pretty well-known for its “preppy” dress code its students seem to adopt. Miami has been nicknamed “J. Crew U” and various other titles as a tribute to all of its impeccably dressed students. Unfortunately for me, while I care a great deal about my wardrobe, this meant that I was far behind the curve when I arrived on campus two years ago (even with my preppy private school background!) I can’t afford to break the bank on every single item my preppy little heart desires…oh I wish…but I have managed to work during my summer breaks and beg my parents for certain Christmas and birthday gifts, slowly building a little collection. 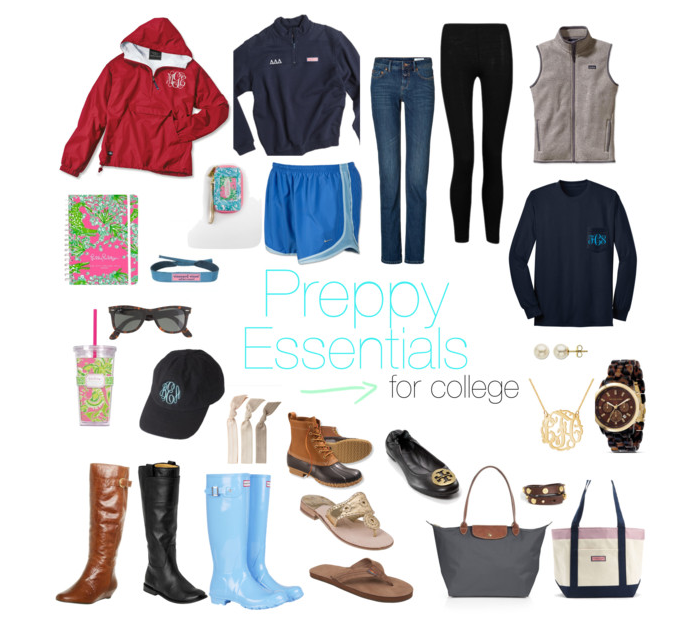 For anyone else who may not be able to drop serious coin on the best preppy closet any college girl could dream of, I have built a list of what I consider to be the most essential staple items. These are mostly basics, but what I love the most about them is that they can pull together almost any outfit and help you step it up a notch! 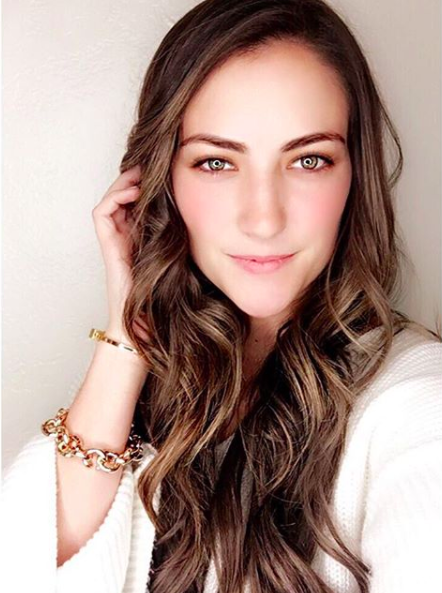 Sometimes just one or two great pieces like jewelry, shoes, or a good vest can pull together endless varieties of outfits when paired with simple things like plain white v-necks or jeans. Fake it until you make it, right?! This by no means indicates that if you don’t own every single item on this list you are going to stand out, or feel out of place!! Even I still don’t have every thing on this list. Depending on your budget size, I would advise you to pick the few items that you think you will get the most use out of – the ones that will work with the most items that you already have in your closet, or that are the most practical! For example, the first thing I bought was my Longchamp Le Pliage and I use it every single day as a tote to carry books to classes. The next items I made sure to purchase were hunter boots, leggings, and a Lilly planner. (The hunter boots were promptly ordered 3 weeks into the school year when I discovered I had inadvertently chosen a college that seems to have a rain cloud over it every day of the week…) None of these items are too overboard on price, and they are definitely worth the investment! If you need help deciding between Bean Boots or Hunter Boots for those rainy campus days, I’ve broken down all of the pros and cons plus what size to get in this Guide to Hunter Boots vs. Bean Boots! What are your essential items to have in your closet at school? Krass & Co. Holiday Sale! I love the nickname "J. Crew U." So wished Wisconsin was dressed preppy – unfortunately it seems as I am one of very few! Where is the canvas tote from? it looks like a great staple item! It is! I absolutely love mine, it is a vineyard vines canvas tote! Mine is my sorority's custom print, but they have TONS of adorable options! Here is the link! I love the Tory Burch flats! Unfortunately I go to a very rainy and cold uni, so I really don't use them as much as I would like to. 🙁 I carry my books and study stuff in a Louis Vuitton tote and when it's warmer I go with vintaage high-waist white Lacoste shorts, I also love canvas shoes such, never have enough of them!